LONDON -- Nissan will cut hundreds of jobs at its factory in Sunderland, England, as it tackles declining demand for diesel models across Europe, a source told Reuters on Friday. 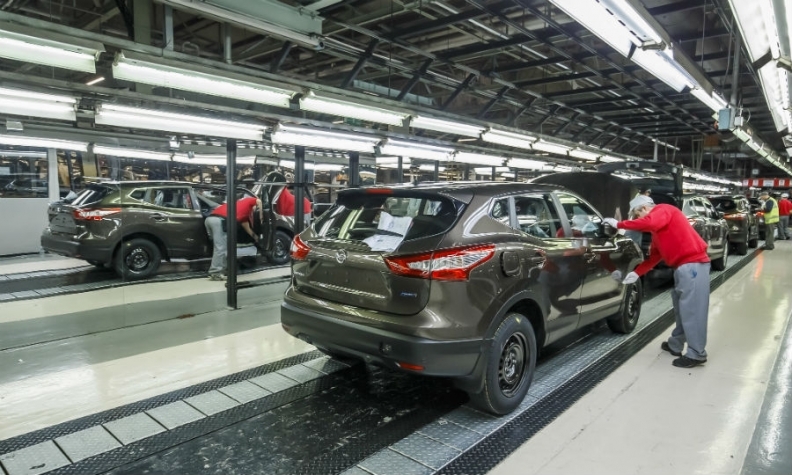 Nissan builds its Qashqai and Juke volume models at the plant, which is Britain’s biggest automotive factory. European versions of the Leaf EV and Infiniti QX30 models are also built there, according to the Automotive News Europe Guide to European Assembly Plants. Nissan's vehicle sales in the EU and EFTA markets fell 10 percent to 160,057 in the first quarter, according to data from industry association ACEA. In the UK Nissan's sales plunged 35 percent to 34,794 through March, according to SMMT data. Jaguar Land Rover is cutting around 1,000 jobs and production at two of its English factories after a fall in sales which the industry has partly blamed on confusion over British government diesel policy, with a tax hike having come into force this month.